For years I have been content with the idea of using a cable to attach my headphones to whatever music device I listen to. This year however, I’ve been severely tested by the idea of going cable free thanks to the slew of Bluetooth cans dropping on to the market. Beats came through with its Studio Wireless series, Bose updated its mostly terrible SoundLink over ears and Sennheiser topped out the market with its handsome Momentum Wireless headphones – that would subsequently only work with a cable. But despite this plethora of choice there was a problem. For years audiophiles had dismissed Bluetooth because of the compromise in sound quality you got in exchange for a wire-free headset. Indeed, my P5s from Bowers and Wilkins have long been a daily essential for my commute and working in crowded offices. 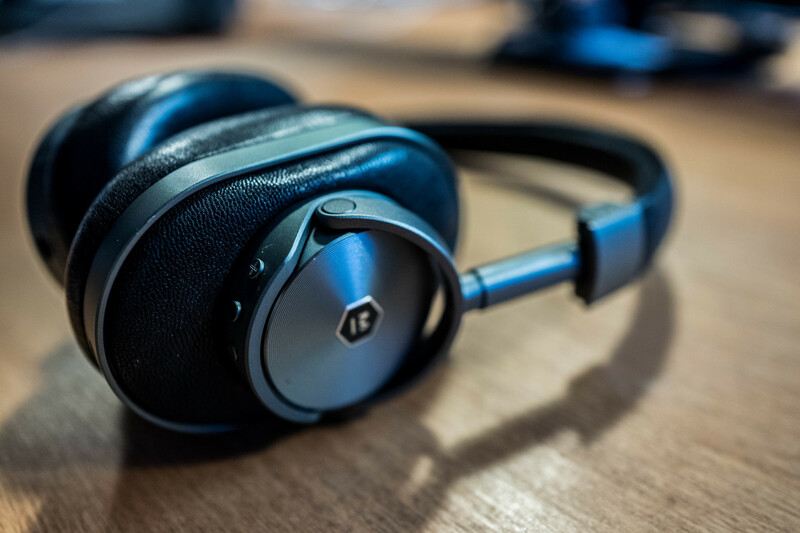 However, a plucky startup from New York has not only managed to solve the problem, it has produced what I would argue are the best looking headphones on the market today. Master & Dynamic has been around for only a few years, but in that time it has managed to spearhead the anti-Beats movement of headphone wearers. Instead of focusing on massive bass and a similarly bombastic colour palette, Master & Dynamic, lead by Jonathan Levine, has focused on high quality materials and sound with a distinctly minimal approach to headphone design. The MH40s were an ode to the days of heavy industrial design. Metal grilles were paired with industrial rivets and lambs leather. The MW60s continue in that luxurious vein, but have abandoned the retro nods in favour of a distinctly cleaner aesthetic. The forged aluminium hinges and enclosures for the headphone never overwhelm or interfere with the simple idea that these are objects for sound, not something to be ogled. There’s also a very key reason for the use of metal in the design. The right-hand side features an aerial that borrows from the original design of the iPhone 4. By keeping the aerial on the outside – as opposed to wedged behind the speaker – these headphones have an incredible range. Not even steel doors, 12-inch thick Victorian concrete walls or even a flight of stairs seemed to deter it. I could walk across the room and make a cup of coffee without a skip or drop of sound quality. Speaking of audio quality, the MW60s have been equipped with the latest Bluetooth 4.2 and the aptX codec. With these two pieces of technology combined the MW60s smash through the CD quality threshold so many headphones have been unable to achieve. The headphones can connect with two devices simultaneously meaning you can take phone calls from your phone without having to disconnect from your PC. Battery life easily stretched to 14-hours and in one particularly long 8-hour session I didn’t need to remove these once because of discomfort. Throughout the day I listened to a number of sources, everything from YouTube streams, SoundCloud, Apple Music and lossless audio. In most cases the disparity between those sources would be clear. But somehow the MW60s manage to keep that gap to a minimum thanks to some very clever tuning by Master & Dynamic engineers. That’s because most high-end audio manufacturers refuse to admit that owners of luxury headphones might, on occasion listen to music from poor-quality sources. M&D on other hand spent 100s of hours pushing low-quality audio through the MW60s to ensure the quality never suffered. On the rare occasions I used the anti-tangle cord cable to connect the headphones, the difference in was negligible. The MW60s manage to deliver an impeccably measured sound no matter what you throw at it. The basses are crisp without being muted, the mid tones are plush and sail over the highs which never, ever feel brassy. Since receiving these headphones my Bowers and Wilkins P5s haven’t had a look in. The MW60s are the perfect wireless headphones for the digital age. Are they worth $549? Well it depends on how much you value perfection. But make no mistake, the bar has been raised in this vertical and it’s going to take a lot to topple Master & Dynamic’s entry into the space.